The Lady Grey Arts Academy recently held its yearly inter-house athletics meeting. This annual event has not only produced notable athletic talent, but has also reawakened a sense of unity amongst the study body at large. The meeting was held on the 18th of January 2019 and was the biggest turn out for athletics and support in the last five years. With students being divided into three inter-house teams; the Red team, the Blue team and the White team; these represent the school colors, they were encouraged to develop a sense of teamwork and a healthy competitive nature, the learners seemed to relish in this idea and enjoyed supporting their own teams. The White team proved victorious, but the exercise as a whole encouraged all the learners from LGAA to develop school pride and a new love for athletics and school support. Many athletes achieved commendable heights and with 11 records broken, their hard work and training in the afternoons proved to be well worth it. The Victrix Ludorum was Pamela Constable and the Victor Ludorum was Lelethu Hoyi. 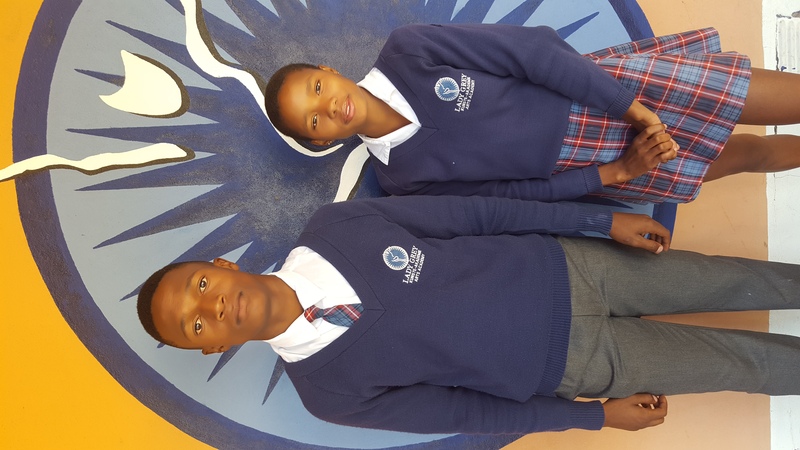 Lelethu Hoyi (Victor Ludorum), Pamela Constable (Victrix Ludorum). We look forward to seeing our athletes continue to grow and perform well in all their upcoming events. Our best wishes will accompany them as they take part in this years athletics. Lady Grey Arts Academy athletics is definitely worth keeping an eye on for 2019!